Just the other night, I finally had an opportunity. My oldest son was invited to friend’s birthday party at a local Main Event location, giving me some rare time to kill. I walked into the arcade and saw it: The World’s Largest Pac-Man machine. I’d heard of it and even seen it before, but this would be the first opportunity I’ve ever had to play it. 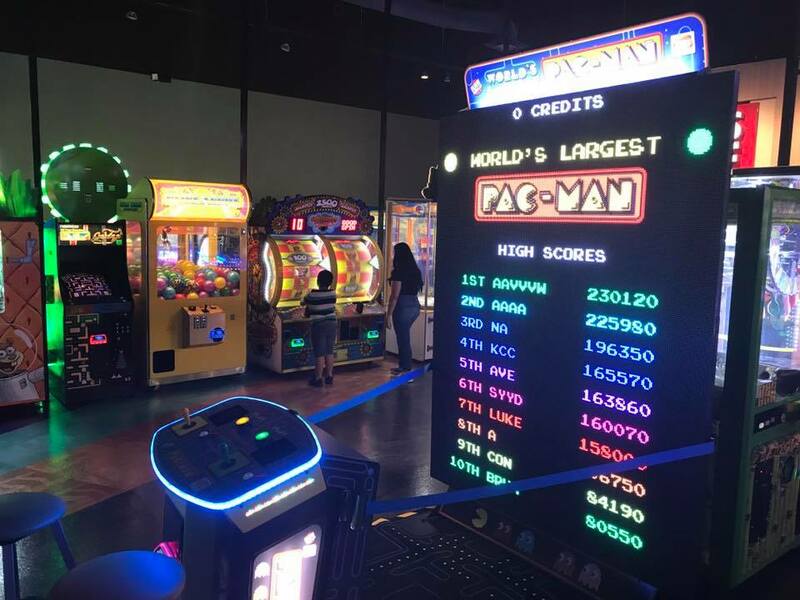 Before doing so, I looked around the arcade and saw they also had the “Class of 1981” Ms. Pac-Man machine and the Pac-Man Ticket Mania machine. I found myself swept away, as I hadn’t seen numerous Pac-Man machines in a current day arcade in decades. I thought back to almost exactly 36 years ago – September 1981 – and what I was told a year after it, all relating to that familiar yellow dot gobbler. I was just shy of the age of 6 in September 1981, dragged to a local laundromat by my mother, who was split at the time from my father. I was a rowdy kid in a pretty dull place, running around the joint like a bat out of hell. For obvious reasons, this was not pleasing to my mother, who demanded I sit down at the front of the joint and stop my insane washateria parkour. To the left of me was a bright yellow box. I can still visualize this moment right now as if I’m living it once more. On it was a blue ghost looking scared half to death while a smiling yellow man leaned into him, looking snarky as all get out. Disobeying my mother’s wishes seconds after she’d made them, I got up from my seat to see what this thing was. I was instantly enamored by the bright images on the video screen and the realization that this was a game. I asked my mom for a quarter to try it out and started on a journey that never ended for me. Pac-Man was that key. Going into 1982, the rest of the world had Pac-Man fever just as I did. It was the first time in my young life that I was into something that was exploding into pop culture. Pac-Man had quickly gone beyond just a game. It had turned into a full-on brand, pushing out merchandise so fast the combined forces of Gene Simmons, Vince McMahon and Donald Trump couldn’t have kept up with it. Then came the downer. My mom and dad got back together in 1982. One day, I picked up a copy of Mad Magazine at the grocery store. 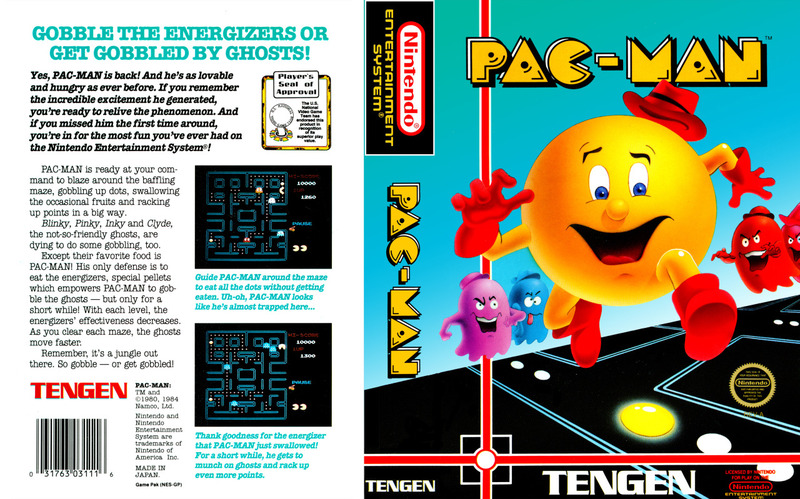 It had Pac-Man on the cover, parodying TIME Magazines “Man of the Year” covers by naming Pac-Man their “Man of the Year” recipient. It was cover dated September 1982, a date exactly one year after my first meeting with the game and video games in general. Now nearing 7 years of age, I asked if I could buy the magazine and proudly proclaimed that in my opinion Pac-Man would be the Man of the Year every year. That hurt to hear, as I didn’t understand how something so beloved by the public could ever die off like that. However, it seemed to hold water starting the next year, as the video game industry in North America fell off a cliff. I watched as local arcades closed down, the news reported struggles by giants such as Atari and several retailers that had proudly sold video game cartridges started having blow out clearance sales. Maybe my dad was right. But then came the turn. 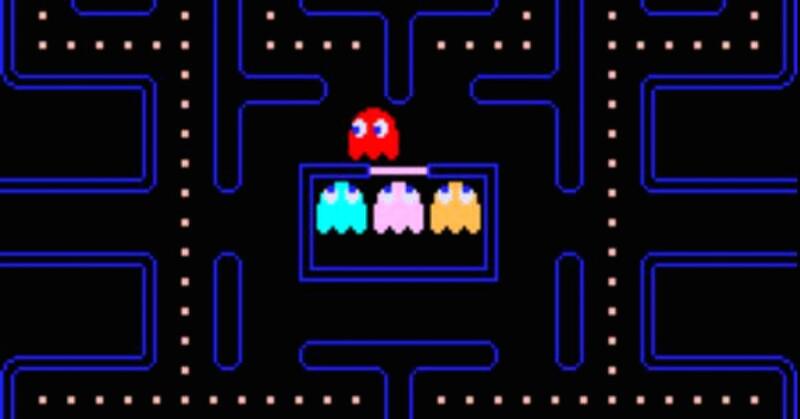 Video games came back around in the later 1980s, and Pac-Man even re-emerged for me in the middle of it all. There he was again on the Nintendo Entertainment System. There he was again in an older book I found in my middle school library. Then the corner store next to school put in an original machine. Now a teenager, I aimed to now master my old favorite and over the weeks and months I started to do so. Each morning and afternoon saw me in there turning in scores in the hundreds of thousands and eventually millions, as the game area in the back of the store filled up with kids trying to do the same to the other older titles inside. Once again, I was told nobody would care, this time because Pac-Man was an older title. But once more, this was wrong. 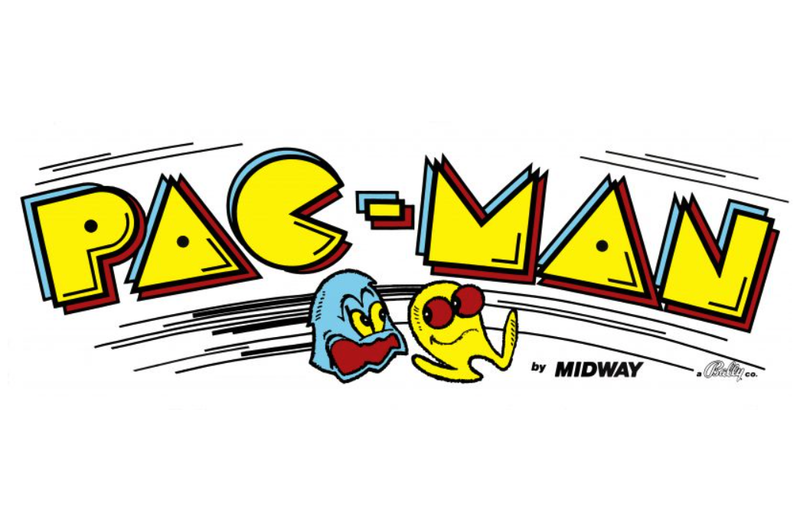 Even as the 8-bit systems gave way to the 16-bit systems and eventually to the PlayStation and beyond, Pac-Man games continued to appear and the game continued to have meaning to me. In 2001, I finally obtained my own original arcade version of the classic that I proudly still own and maintain today. In 2006, while running an arcade repair business, I got a call to go out and repair one of the very same original machines I used to play as a kid. In recent years, it seems to have ramped up even more. In 2015, a Pac-Man playing moving character was based in part on me for the movie Pixels. In April 2016, I actually had the honor of interviewing Toru Iwatani, the creator of the game. In September 2016 – 35 years after first playing the game – my current occupation as video gaming’s version of Indiana Jones saw me rescuing a vintage Pac-Man machine from a local person aiming to trash it. Just a few months later I got to do that again, being asked to retrieve a cocktail table version of the game abandoned in a Dallas apartment complex. Then I was led here. It was September 2017 and I was playing a new Pac-Man machine in an arcade with other Pac-Man machines in it. I caught myself grinning as the intermission scenes came in, just as I had when so much younger. I allowed myself to fall into looking at the high scores at the top of the game and wondering if I could knock that number off that day, just like I used to do. A kid from the birthday party my son was at came up to watch. He knew who I was and said he’d been practicing on that game. It turned out to be his favorite, too. He didn’t realize the monsters wouldn’t go up the T shapes above their home pen, just like I didn’t until someone older told me that way back when. He took to playing the machine as I left it behind for the night, armed with newfound knowledge. That kid at my school years later was wrong, too. It’s 2017 for crying out loud, and while the world around me has changed almost completely in my 36 years of gaming and almost 42 years of life, he sat this constant called Pac-Man. Following in a cycle now are kids that are taking to the game in much the same way I did decades ago. The game has never gone away, and I don’t see a future where it ever really does. For the younger set that might be reading this, I wish for this for you. Whatever you are into right now, whatever makes your free time happy, do not be shy about loving it. Do not be so quick to let it go because those around you might see it as a thing living on borrowed time. You might not be lucky enough to love something that becomes so constant, but I highly recommend the experience if you can land it. It can serve to remind you of why you fell in love with something in the first place, and that’s a good thing to keep close.